We are halfway through 2016 and, as technology rapidly progresses, the expectation for financial leaders to be practicing forward-thinking driven business is growing. It’s easy to fall into a habit of valuing historical data over forward-looking information. So how can you go from being historically-minded to forward thinking? First things first… Would you drive a car only looking in the rear view mirror? Of course, you wouldn’t! That’s dangerous. So why would you drive your company only looking backwards at historical information? Don’t get me wrong, historical data is important. It’s used to project sales, calculate trends, etc. You can use it for a number of things. But it can’t be the only thing that you use. Particularly as technology advances seemingly every 6 months, you have to be forward thinking and analytical. Let’s look at the difference of being historically-minded versus forward-thinking. A historically-minded financial leader would look at the financials to the right to learn that this month, they lost $2000. This type of financial leader would go through Weeks 1 through 5 blissfully unaware that trouble was brewing. They might have a feeling that things aren’t going well, but they aren’t really sure. Forward thinking starts with forward-looking reports. 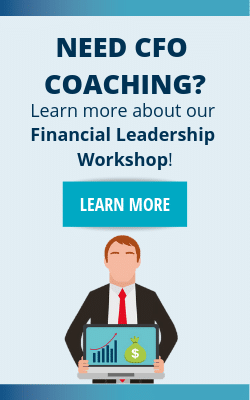 A forward-thinking financial leader notices in his or her flash report for Week 1 that they are struggling. Instead of waiting until Week 6 to find out that month end would show a $2000 loss, they could take corrective action to fix the problem before it got any worse. This thought process allows you to adjust projections for sales and inventory, manage your human capital, and address any cash flow issues. So why should you care? You aren’t responsible for the financial results of the company, just reporting the numbers, right? Here’s what we’re seeing about how automation is affecting the workplace. Certain roles, such as bookkeeping and accounting, are becoming automated jobs. It’s expected that these services are delivered accurately and on demand, something computers are great at. The work can either be cognitive or manual. Non-routine jobs are those that cannot be automated. They either require skills that can’t (at least for now) be accomplished by technology or take a great deal of skill, talent and independent thinking. Again, the work can be either cognitive or manual in nature. 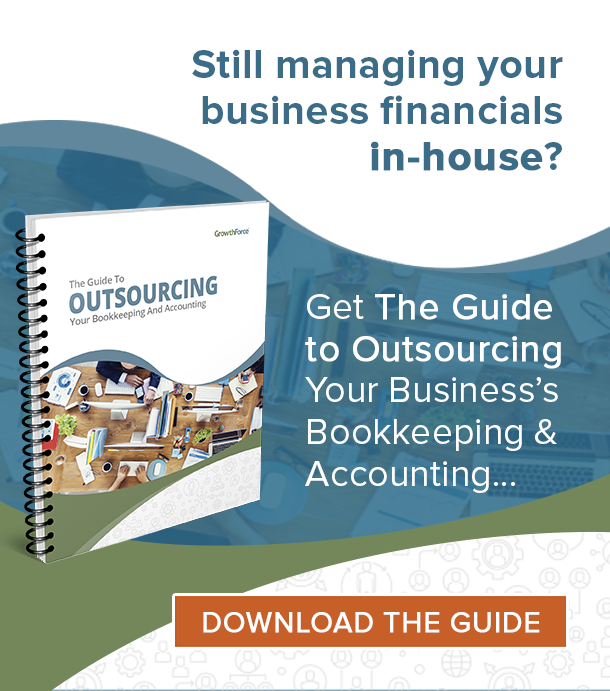 A CEO has to make a decision about whether to continue paying a bookkeeper or to onboard a new accounting system to automate financials. The bookkeeper has made several mistakes over the past couple of months that could have severely impacted projections if not caught early. The new accounting system automates every invoice and payment before a single person can touch the invoice. This position is routine because you can easily replace it with an automated system while still ensuring the accuracy and efficiency for a lower cost. A chief of staff in a hospital is facing a decision about whether or not to automate neurosurgery. If the chief of staff decides to automate the role of a neurosurgeon, she risks losing customizability and efficiency as a robot cannot see every cell of a cancerous tumor. Sure, a neurosurgeon is human and will make mistakes. But a neurosurgeon has approximately 8 years of school with 4 more years of training and probably have 5-15 years under their belt. In this case, the neurosurgeon’s skill and ability to adapt to conditions on the ground is what makes them valuable and their job difficult to fully automate. So what should you do if you find yourself in a routine role? You should assist in automating those tasks that you can. Then, shift over to non-routine tasks such as analysis and problem-solving. Adding value in this way will ensure that you stay relevant despite advances in technology. The Pyramid of CFO Value demonstrates how you can move from the routine tasks of accounting and compliance to the non-routine task of being a trusted advisor to your CEO. People often look at the CFO as an accounting and/or compliance figure in the grand scheme of a company. As we start from the bottom of the pyramid (accounting/compliance), we find that this type of job function is most likely going to be automated. Particularly as continuous accounting becomes more widely used, this financial function will progress into an automated system. Continuous accounting is just the start of new automation processes that pertain to large sources of data. Accounting technology such as continuous accounting establishes a precedent for timely, cost-effective, and/or high-quality improvements for business. As you move up the pyramid of value, your role becomes more difficult to automate due to the training and experience necessary to successfully carry out these tasks. Since a good CFO improves profits and cash flow by 1-2%, you can essentially make yourself un-automatable (yes, I made that word up). It’s all about where you’re going, not where you’ve been. A Flash Report is an excellent way to look into the future. It assesses KPIs, or key performance indicators, in order to create a periodic snapshot of key financial and operational data. This weekly assessment gives you the capability to not solely rely on historical financial statements to run your business. As a management tool, it enables you to monitor and review profitability, productivity, and liquidity on a weekly basis. Start driving with your eyes open. Discover why your KPIs are so important to be forward thinking. Download your KPI Discovery Cheatsheet today to start managing your financials as a forward-thinker. Why do most sales projections fail?